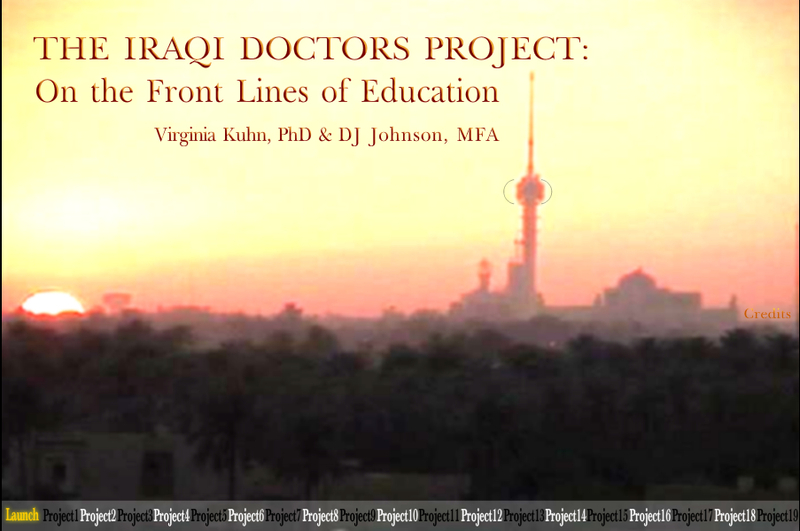 Although IML340: The Praxis of New Media was initially run with the Iraqi Doctors footage, I have come to believe that its strategies must continue after the project ended (even as US intervention in Iraq seems endless). It became very clear that students need guidance in critically analyzing filmic texts before they can show competent control in producing sophisticated video arguments. Strategies for critical engagement with digital texts have not kept pace with the innovations that make them possible. Critical reading and writing with words is a central focus of university level pedagogy and scholarship; reading and writing with images and sound is far less widespread. While much of the scholarship surrounding the digital centers on its collaborative, interactive and public possibilities, far less effort has focused on communication and expression in the language of images and the formal elements deployed by filmmakers. As such, it is productive to examine the changes to filmmaking brought about by technological innovation. The literature on remix as a scholarly endeavor is emerging but incomplete. In "A Taxonomy of Digital Video Remixing: Contemporary Found Footage Practice on the Internet," Eli Horwatt enumerates several types of political remix, though his scope is limited to footage found online, not scholarly projects. Steve Anderson sketches numerous genres that have emerged from the Honor in Multimedia Scholarship program at the IML, a program he directed before I took over in 2007, and these are illuminating in terms of categorizing digital projects: argumentative, essayistic, game, encyclopedic. Yet we also need to focus on the formal elements a single project's visual and aural syntax. As I have argued elsewhere, this syntax is important for large scale literacy in the 21st century, although I am still uneasy about vulnerability to the charge of lack of academic rigor when deploying the practices of film, given its origins in the entertainment industry. The notion that this work is little more than the "Disneyfication" of scholarship is never far from my mind. However, in recalling Gregory Ulmer's argument that the technological shift from literacy to electracy began in the 19th century with the invention of photography and later the phonograph and the telegraph, then it is "easier to appreciate that the institution most responsible for the practices of digital memory is entertainment" (42). Thus, I suggest, we can appropriate the often-complex discursive practices of Hollywood film, and bring them to bear on scholarship, endeavoring to apply the same type of polish and criticality to digital texts that we would use in more traditional academic discourse. Discussion of "Decoding Filmic Texts"
Version 29 id 7943 of this page, updated 19 January 2011 by Virginia Kuhn. Created by Virginia Kuhn.